Our non-toxic treatment neutralizes 99.99 % of bacteria, virus, mold, and mildew, as well as most odors, additionally neutralizes pollen, dust might, and pet dander. This scientific change to the biochemistry inside your home or vehicle, changes the entire feel of the space. This significant improvement inspires more offers on homes or vehicles for sale, and better health and comfort in everyday living. We combine Chlorine Dioxide, with an Enzyme Cleaner and Therapeutic Grade Essential Oils in our unique deep reaching application process. The result is an indoor aroma that is unmatched anywhere. ACT has been using this process for over 9 years. We have successfully treated many vehicles, homes, offices and hotels. Our technology is proven and will remove most chemical odors, as well as nearly all organic odors including tobacco smoke and pet smells. This one step in our process is used to sterilize medical facilities, surgical tools, and drug manufacturing plants to prevent cross contamination. ClO2 is a pure oxidizer universally recognized as non-toxic. ClO2 is on the FDA food additives list and is used as a sanitizing rinse in all types of foods, and as a sanitizer and disinfectant on food contact surfaces and non porous surfaces found in food plants. 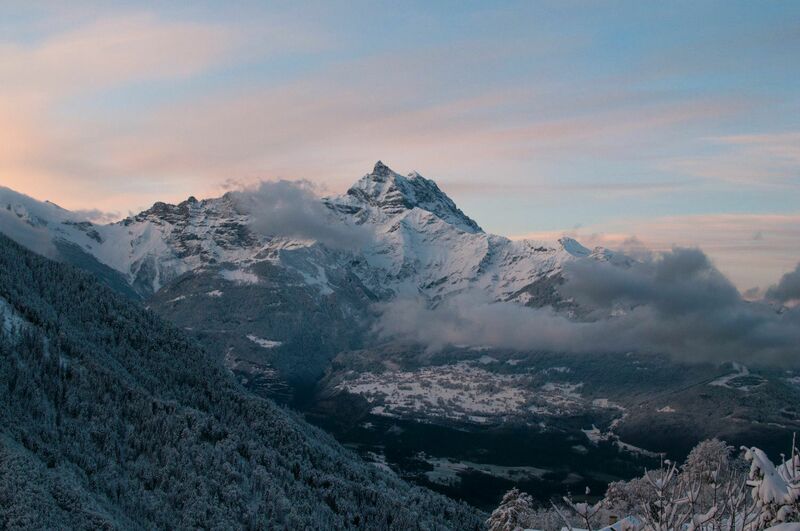 It is also one of the main compounds used to sanitize drinking water around the world. Chlorine dioxide is a very special molecule, which uses a selective oxidation to interact with the biochemistry of microorganisms. The chlorine dioxide molecule is an oxidizing free radical that reacts with several amino acids that make up proteins. ClO2 steals the protons from these proteins and causes them to be non-functional. This causes the microbe to shut down and die very rapidly.  ACT uses ClO2 in both gas and liquid form insuring the most thorough and deep reaching application. This is the same product we use to sanitize/deodorize the HVAC system. In this application every surface, nook, and cranny of the space is treated; resulting in 99.99% elimination of all harmful pathogens within the space. 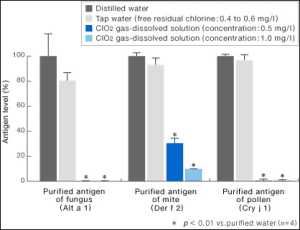 Chlorine Dioxide destroys antigens on surfaces and in the air. This means allergy sufferers now have a cure rather than a treatment for all those allergens which make them feel sick in their vehicle, home or office. Odors are also no match for this safe and effective powerhouse. Air Cleaning Technology knew from our experience that our gas process would kill mold allergens, but until recently had no proof that we also were able to kill pollen and dust mites as well. The table shows a recent scientific study which proves out what our customers have been telling us for years. With low levels of chlorine dioxide gas the purified antigens of fungus, mites and pollen are destroyed. Our customers have also seen incredible results in eliminating symptoms to pet allergens, and we are confident science will eventually back this up as well. This is the first time an in situ remediation of allergens has been documented by science and it is big news! We know that many people experience allergen distress in vehicles and certain buildings such as dorms, schools, hotels, offices, and even homes. Typically an older building has built up allergens of mold, dust, pollen etc… over time. 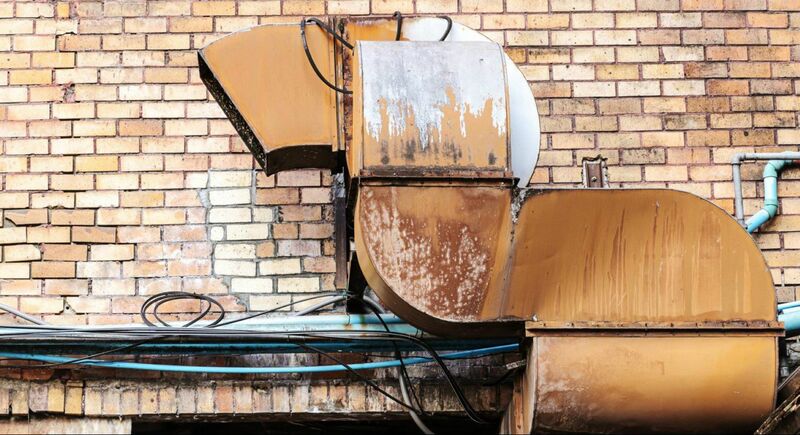 Situations where water or moisture problems exists in the building, improper air flow in HVAC ducts, or other physical conditions lead to growth of mold and can cause a building to be toxic to people sensitive to allergens. It is important to fix the physical problem (through professional cleaning of the effected area’s) in the meantime the allergens existing can be destroyed. 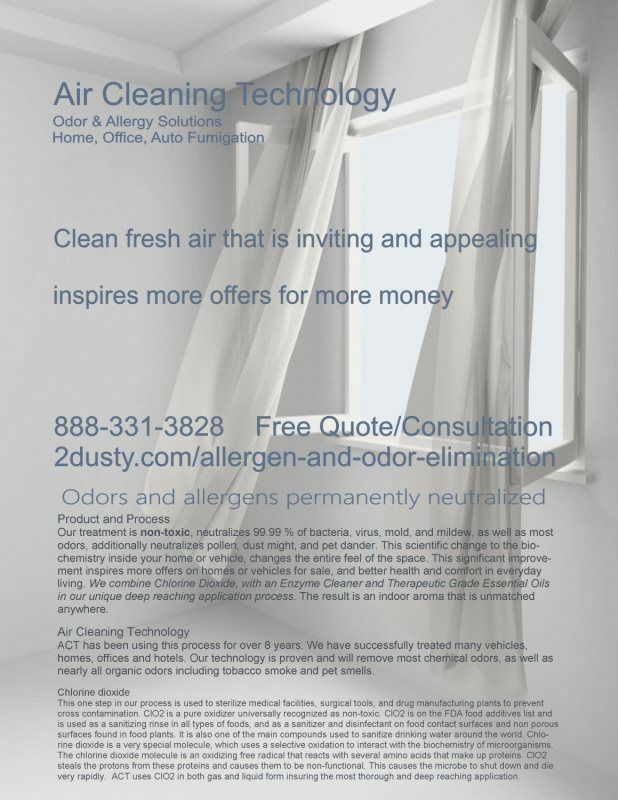 Our customers have universally said they no longer experience their allergies after our gas treatment of their space. Call us today to learn more and schedule a treatment of your vehicle, home, or building.